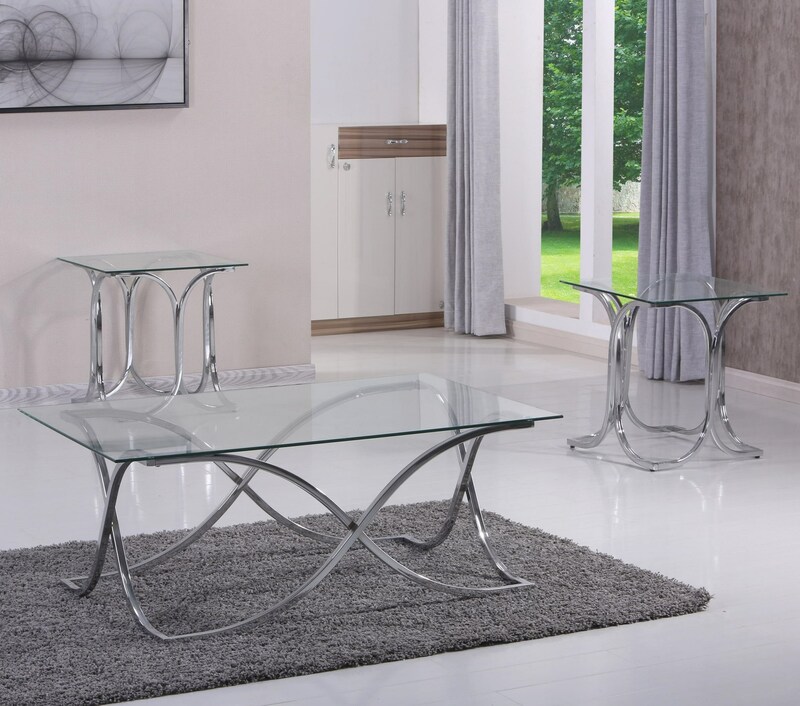 Update your living room with chrome accents when you bring home this contemporary occasional table set. This package includes two end tables and a matching coffee table with chrome metal legs and glass table tops. Perfect for decorating with lamps, candles, picture frames and other decor, these occasional tables will make a great addition to your home. The 7316 Contemporary 3 Piece Occasional Table Set by United Furniture Industries at Household Furniture in the El Paso & Horizon City, TX area. Product availability may vary. Contact us for the most current availability on this product.